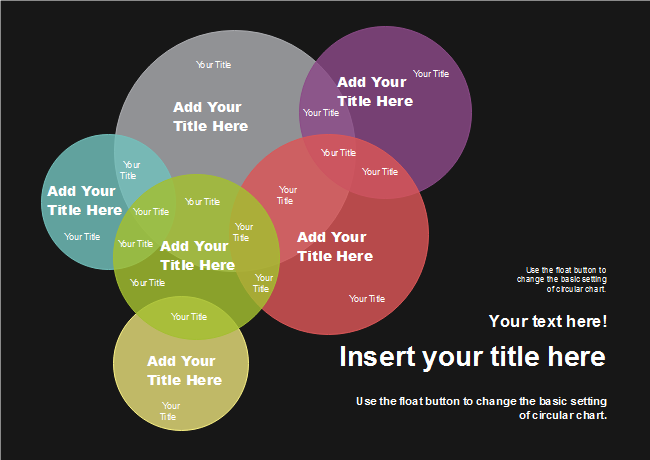 Description: Six colorful circles in different sizes are connected together to form this Venn diagram template. Through the dark background, you may feel serious and formal. Make full use of the color, line, foliage and design symbols to create stylish Venn diagrams.